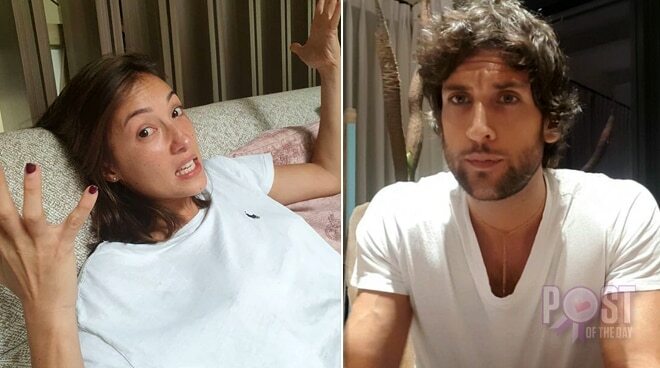 Known for always pulling pranks on his wife Solenn Heussaff, Nico Bolzico shared some hilarious advice from his self-appointed #BulliedHusbandsClub online with his post last December 4. Today, at the #BulliedHusbandsClub session, we will be talking about those days of the month when our #Wifezillas hit CAPSLOCK on emotions … We call it #TheRedSeason. We know this is a taboo topic so we decided to address it! It is very important for a husband to be aware of that period and understand that her period is also his period. 1- Understand that this is not a joke, they feel bloated and in pain, there is NO way, us, men, can handle that every month, so show some respect. 2- Do NOT allow her to be hungry, a woman in her period and hungry can be a deadly combination, she can easily turn into a T-Rex and we all watched Jurassic Park. We advise to check the levels of hungriness every 30 to 45 mins, this can vary depending on the breed of your #Wifezilla. 4- Be a man and buy tampons or those special towels that absorb the blood! Make sure there is enough inventory for at least 2 decades. Running out of those can lead to an apocalypse, just watch Terminator 2 and you will understand. In conclusion, we need to be extra sensitive these days. If you have any doubts feel free to call our #BulliedHusbandsClub hotline, one of our wives will answer first and pass the phone to us. Also, I might be dead after posting this pica of #Wifezilla.